In Korner 5 players are going to control a professional footballer. You can customize the appearance and the skills of your characters, and enjoy addictive matches and in which the skill is paramount to achieve victory. 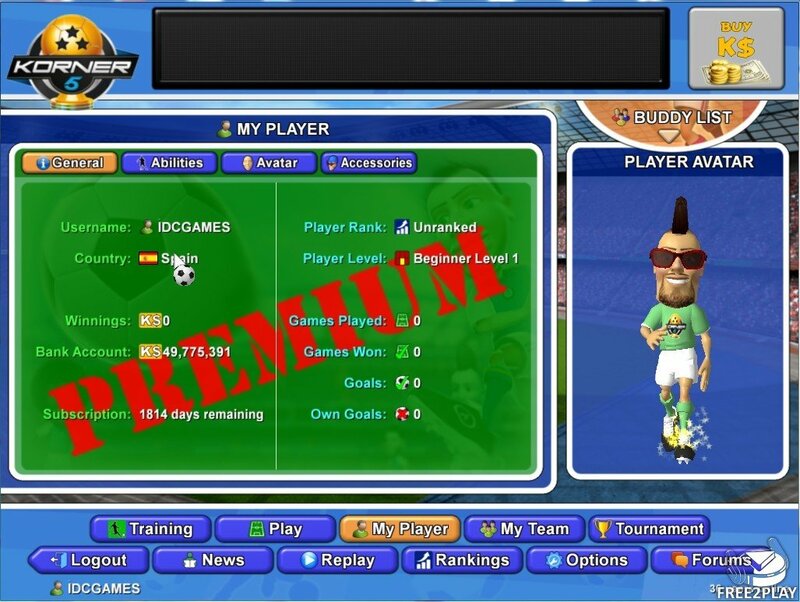 In Korner 5 players take the role of a football player, responsible for playing games and earning in game currency to pay for their training and level up ranks in specific skills/stats, such as speed, dribbling speed, stamina, etc. that will make controlling them on the pitch a lot easier. The game does focus on player skill with players moving their character with mouse and keyboard controls, placing passes and shots and working solo or with teammates to increase their rank. Movement - Using the WASD keys players will move through the pitch, and they can outmanouver their rivals, get into a space to receive a pass or make a dribbling. Aim – With the mouse players can change the direction of their characters in addition to be able to pass or shoot the ball when they have it under their control. 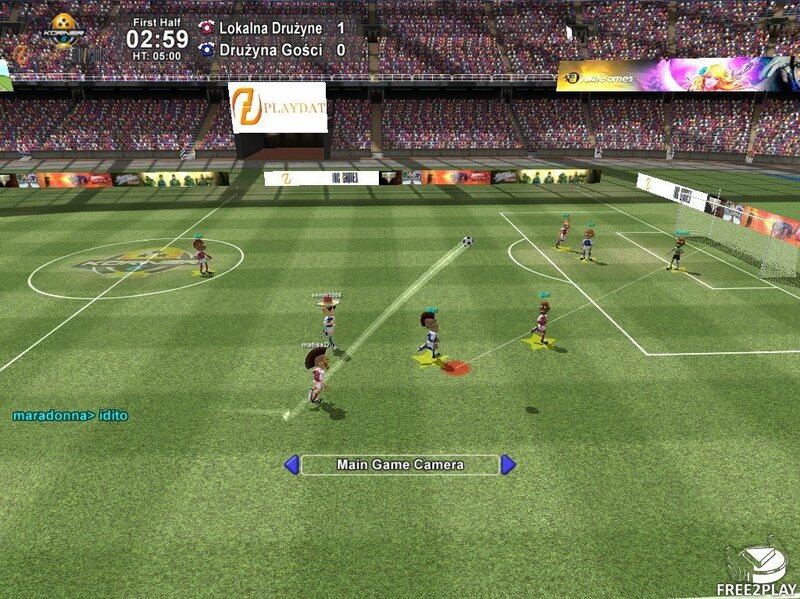 Shoot - Left mouse button allows players to pass or shoot the ball. To execute a stronger shot players have to keep the button pressed for a longer time, if the player doesn't release the button soon enough they will overpower their shot and fumble it. Sprint - With the space bar the players can run short sprints, with or without the ball, whose duration will be determined by the stamina of the player. 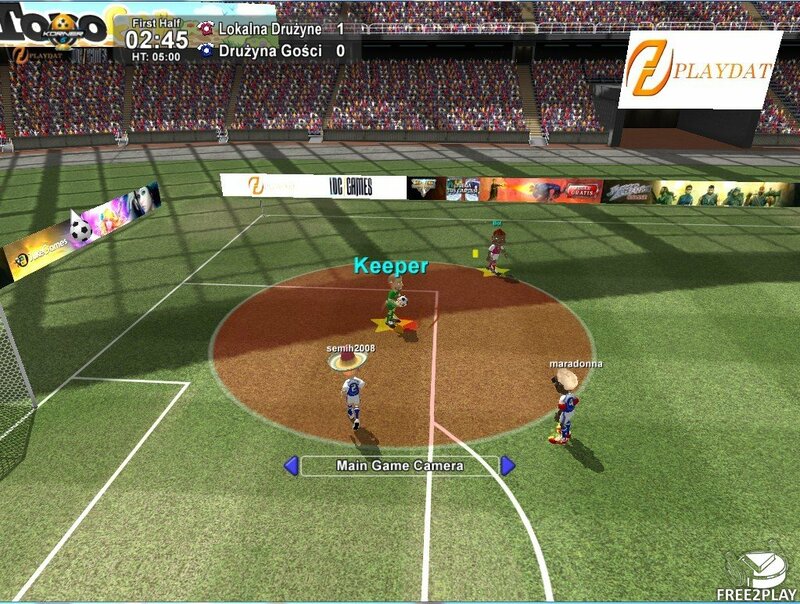 Tackles - With the middle mouse button players can tackle the opponents who have control of the ball, but if they make the tackle at the wrong time they can make a foul that can result in a yellow or red card that they provide a penalty that slows down the player. The game features a wide variety of options to customize the appearance of the players, from hairstyles, facial hair, skin color and body type to Accessories like tattoos, hats or sunglasses. To compete in games, players get Korner Dollars, a currency that can be used to improve players, increasing its resistance, speed of recovery, racing speed, dribbling speed or dribbling speed among other many options. 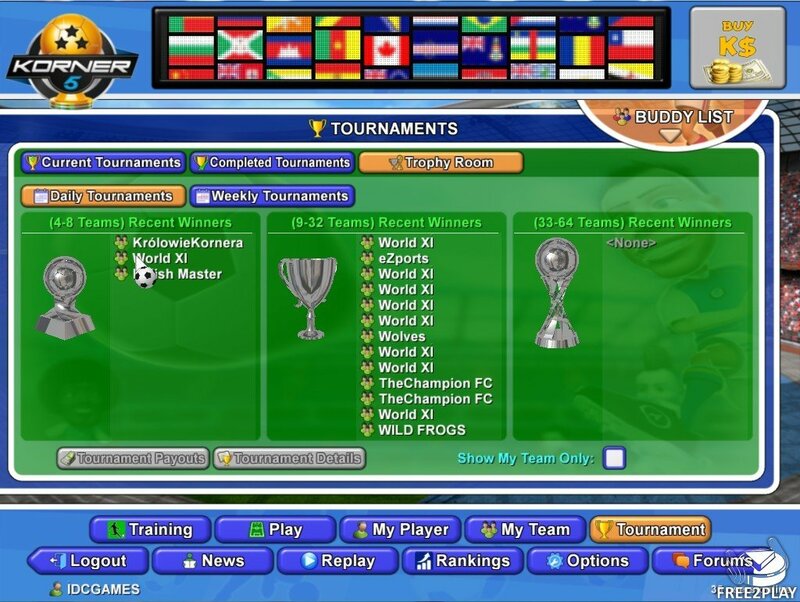 With 2000 KD (Korner Dollars) players can create their own teams, giving it the name they want, its colors and deciding which players recruit. When players are part of a team they can challenge other teams to get rewards and compete for rank position on the global leaderboard and earn rewards for being the top teams. Join Now! Sign UP and Play For Free!